Since 2008 I have been using my 30 plus years of micro-surgical skills to perform vasectomy reversal procedure surgeries. Dr. Cary Leverett, my dearest friend and colleague, moved my heart, when he asked me to join him in the ministry of offering an affordable vasectomy reversal to men who want to re-establish their ability to father children. Helping men reverse their vasectomy has been the most rewarding time of my career. Searching for a microsurgical trained vasectomy reversal surgeon can seem extremely overwhelming; however, with my experience in vasectomy reversal surgery, you can have peace of mind and know that you are in the best hands. Just ask my previous patients! Voted as one of the best vasectomy reversal doctors, I understand what is needed to perform a successful vasectomy reversal. Located in central Texas, I am conveniently in the hub of medical advances. 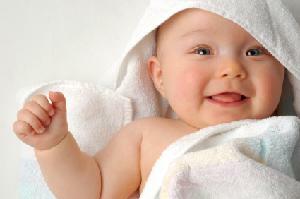 I have worked closely with top vasectomy reversal doctors, and have learned from the best. If you are looking for vasectomy reversal Texas, rest assured that we will be able to provide an affordable vasectomy reversal for anyone in need. Instead of wishing that you could reproduce again, contact my team to schedule a consultation for a micro vasectomy reversal in Texas. Loddie F. Roeder, Jr., M. D.